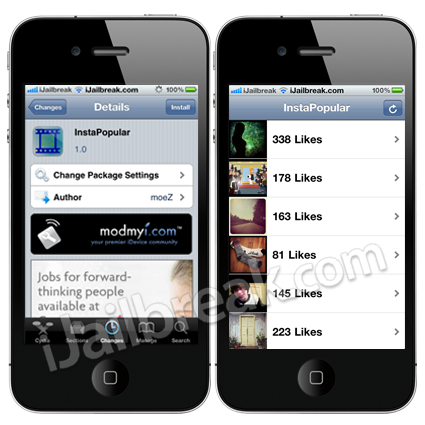 InstaPopular is a Cydia app that allows you to easily check out the most popular photos from Instagram. In addition to being able to easily see the latest and most popular photos from Instagram. You can share/tweet a link of a specific photo you are viewing and additionally save Instagram photos to your iPhone, iPod Touch or iPad. Note: The InstaPopular Cydia application does add an icon to your SpringBoard, but does not have any configurable options through the Settings.app. Didn’t really like it that much because the photos on there are not good for anything as they are not high quality because they were taken on iPhones.